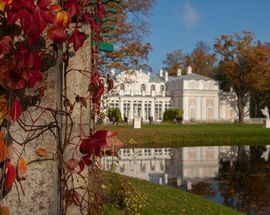 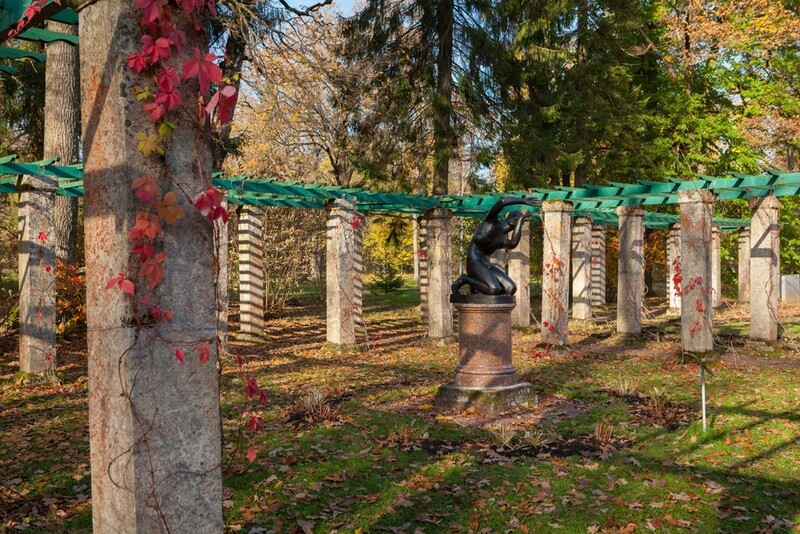 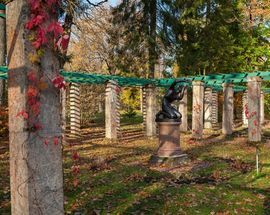 The name is deceiving – there is nothing overtly Chinese about this charming building in the southern corner of the park at Oranienbaum. 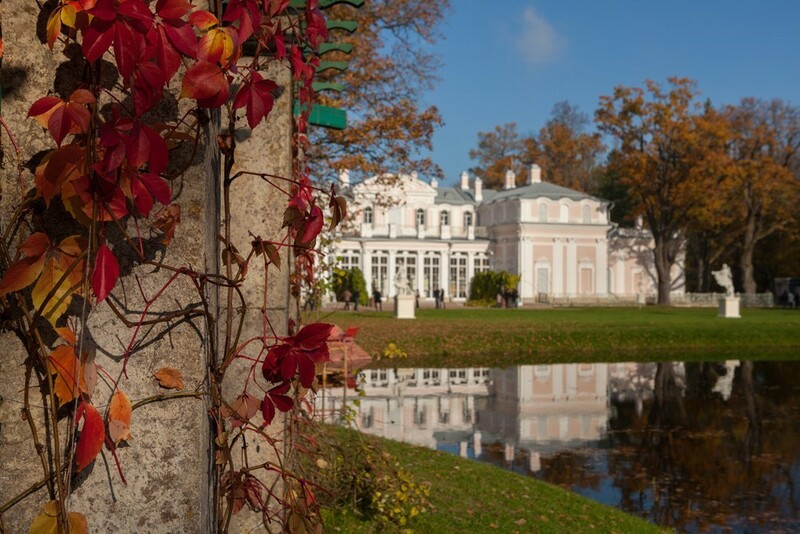 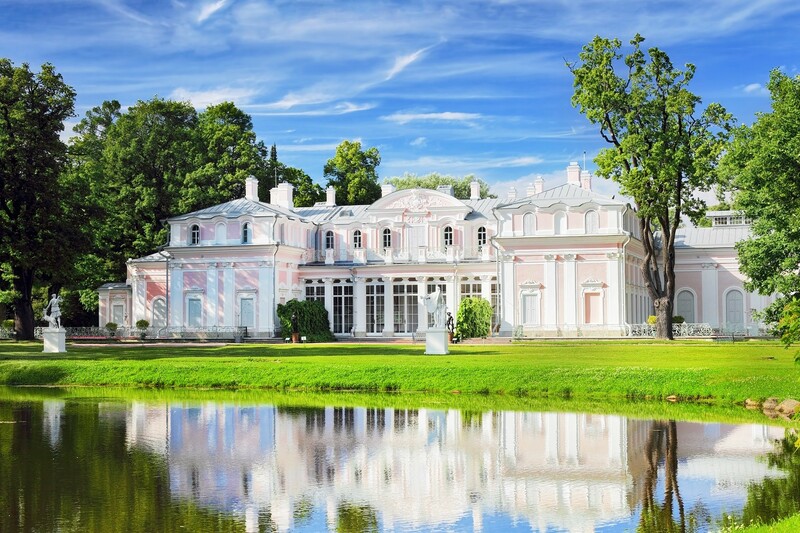 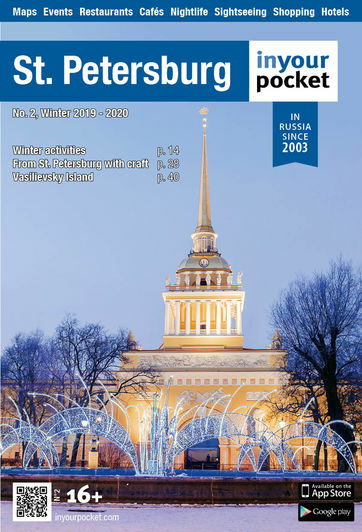 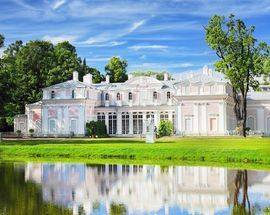 In 1762, Empress Catherine II ordered the construction of the suburb residence called "My Own Countryside House". 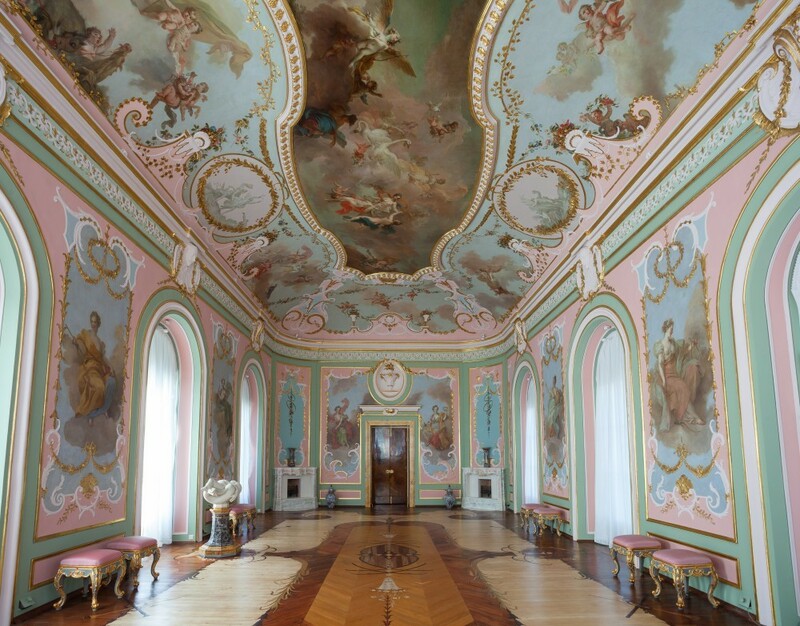 For that purpose Rinaldi built the Chinese Palace (1762-1768), a mix of Baroque architecture, Classicism and Chinese motifs. 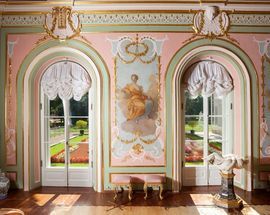 From the outside, the Chinese Palace is a relatively simple building - single-storey except for the small central pavilion, painted in a mellow combination of ochre and yellow. 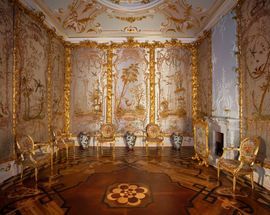 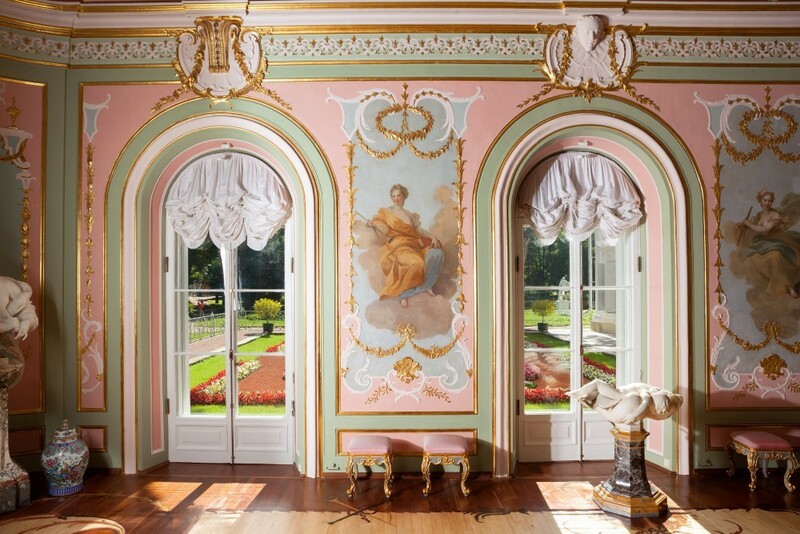 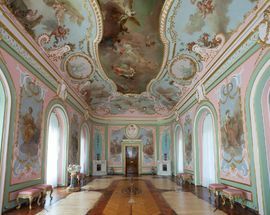 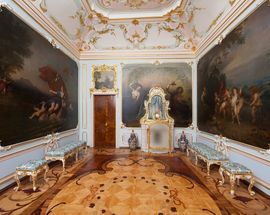 The 17 rooms inside, decorated by Rinaldi and other leading artists and craftsmen of the day, feature pink, blue and green scagliola, painted silks and intricate stucco work. 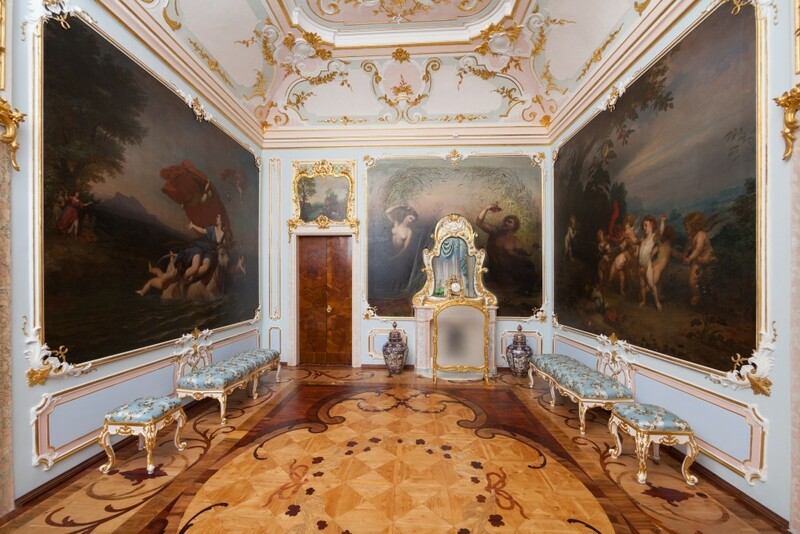 Rinaldi's parquet floors are wonderfully ornate, using several types of rare Russian and imported wood. 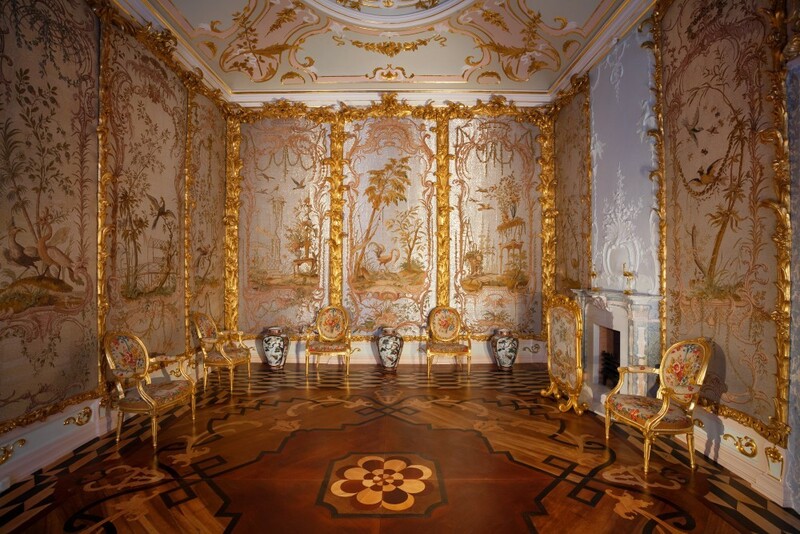 Among the highlights of the Chinese Palace interiors is the Glass Beaded Salon, the walls of which are hung with 12 panels of richly colored tapestries depicting exotic birds and fauna.